After decades of determination and lifetimes of memories, we’re pleased to unveil the latest addition to the Holocaust Museum & Learning Center: Voices of Remembrance – The Oral Histories Project. 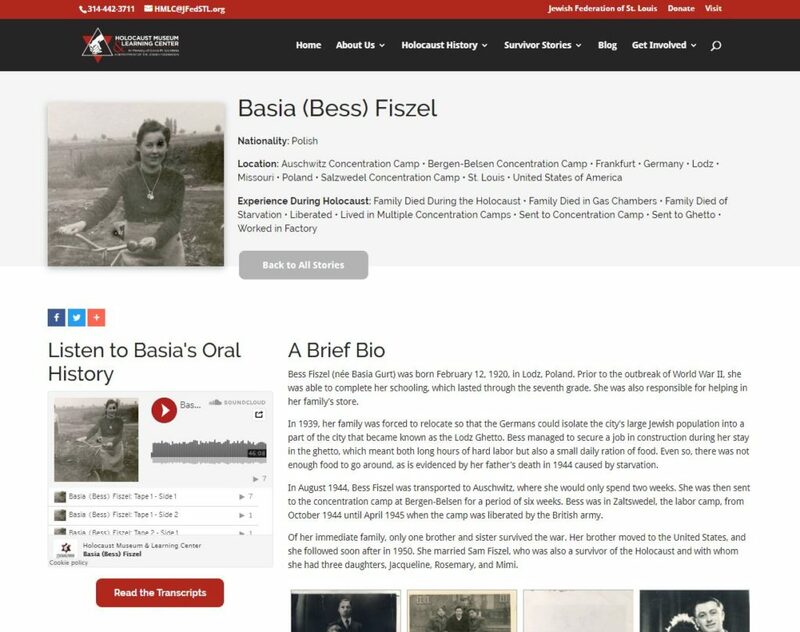 The new online collection of oral histories offers you the opportunity to hear more than 140 stories from Holocaust survivors, liberators, witnesses and more in their own words. 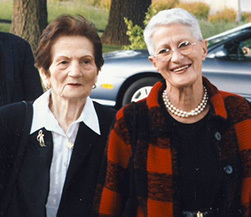 Starting in the 1970s, Vida “Sister” Goldman Prince helped start what became the Holocaust Museum’s Oral Histories Project, which captured direct testimony from people who survived the devastating experiences of the Holocaust. As technology evolved, the original cassette tapes of these interviews were in danger of degrading, and the cassette players needed to hear them were becoming obsolete. A donation from the Bill Kahn Memorial Fund financed the conversion of the cassettes to digital files, ensuring their long-term survival. Sister Prince, Museum Archivist Diane Everman, and former staffer Andrew Goldfeder facilitated that process. Then, Prince stepped up again to finance the addition of these stories to the museum’s website. 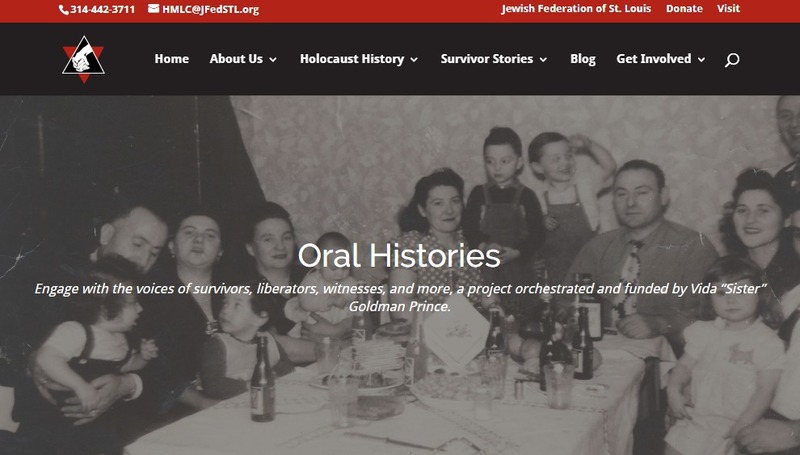 To bring the oral histories online, HMLC staff worked with Wired Impact, a St. Louis-based web design company, to design and build the digital collection. Their team also reviewed and entered each person’s story into the website with care, in consultation with the museum and Sister Prince. We are grateful to offer the oral histories project as a celebration of life and a crucial part of honoring and remembering the past. Visit the HMLC website to learn more about their programs, Holocaust history and how to get involved.